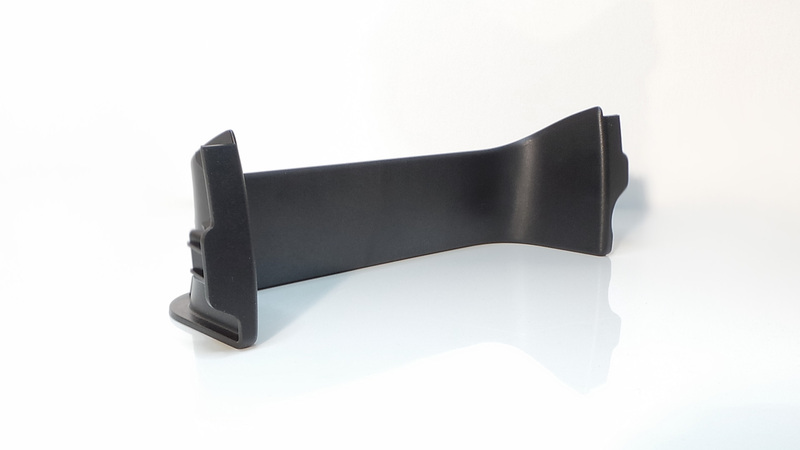 Particularly high demands are placed on plastic parts and injection-moulded parts for the automotive industry. 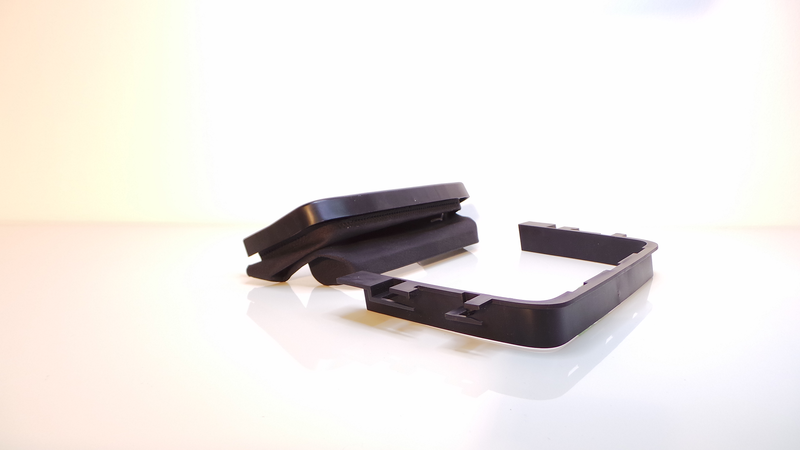 After all, our plastic parts/injection-moulded parts are constantly in the field of vision of the car’s occupants. 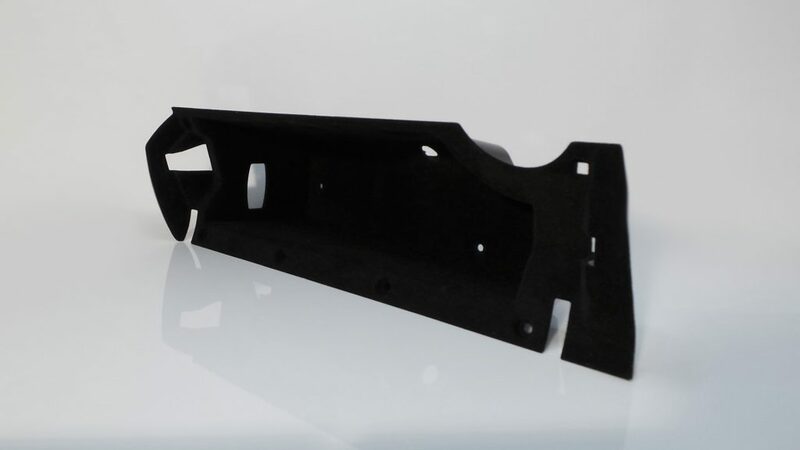 We manufactured special plastic parts in the injection moulding area for various system suppliers of well-known car manufacturers for Mercedes AMG and the Audi R8. 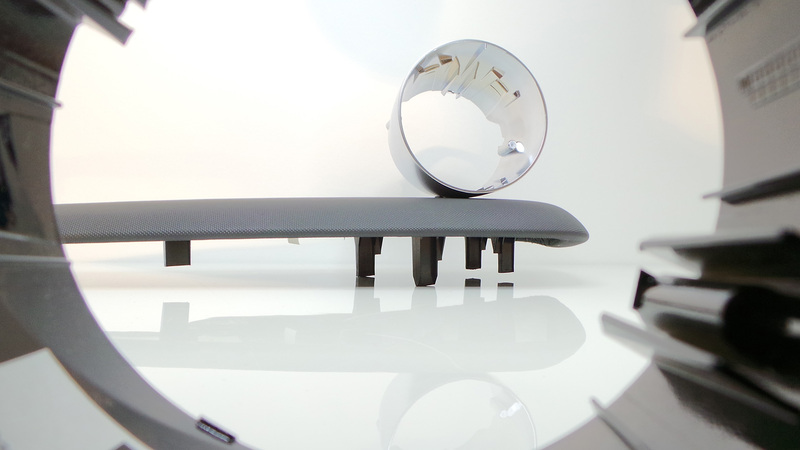 And we also manufacture non-visible plastic parts with the same care. 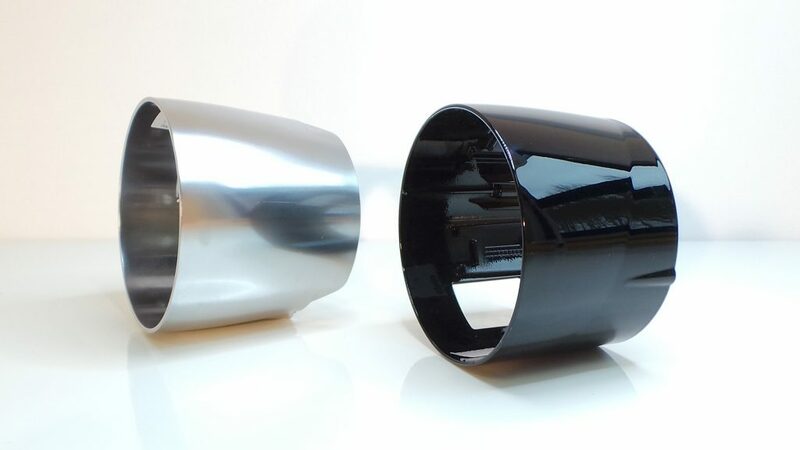 GHS manufactures injection moulded parts (visible parts and non-visible parts) for system supplier Dagro Eissmann for the vehicle type Audi R8 and Mercedes AMG SLS BR197. 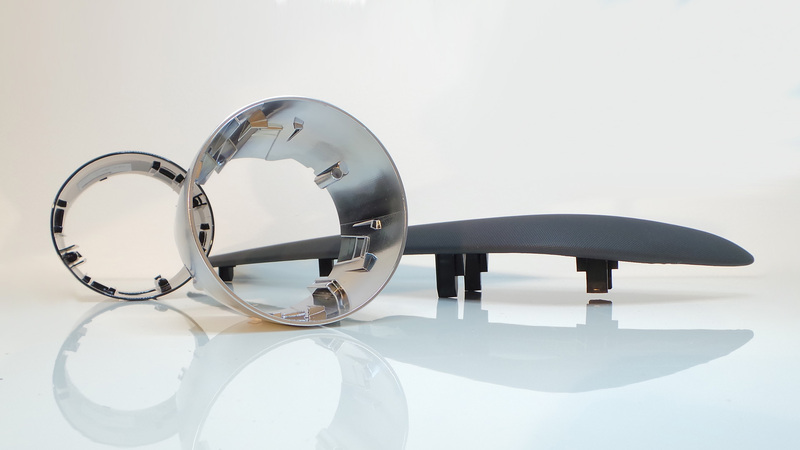 We manufacture injection moulded parts for the Mercedes SLS AMG such as air diffusers, including chrome plating. The chrome-plated parts meet very high quality standards. Production includes high-quality painting of the handles for the Mercedes AMG by GHS Plastic GmbH. 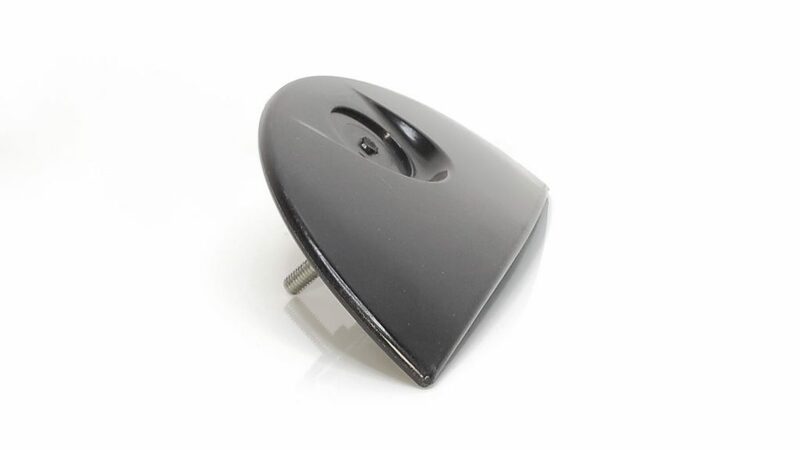 Panels, buttons, light guides, and rotary knobs are manufactured for various applications. In many injection-moulded parts, inserts such as sockets and screws are inserted and moulded into the tool. GHS Plastic GmbH produces injection moulded parts for the Mercedes SLS AMG glove box including flocking. 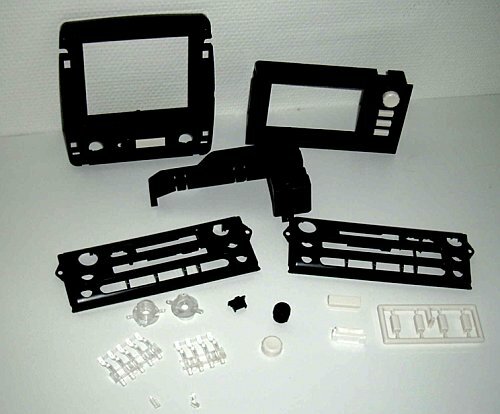 Injection moulded parts for the Audi R8 interior manufactured by GHS Plastic GmbH. 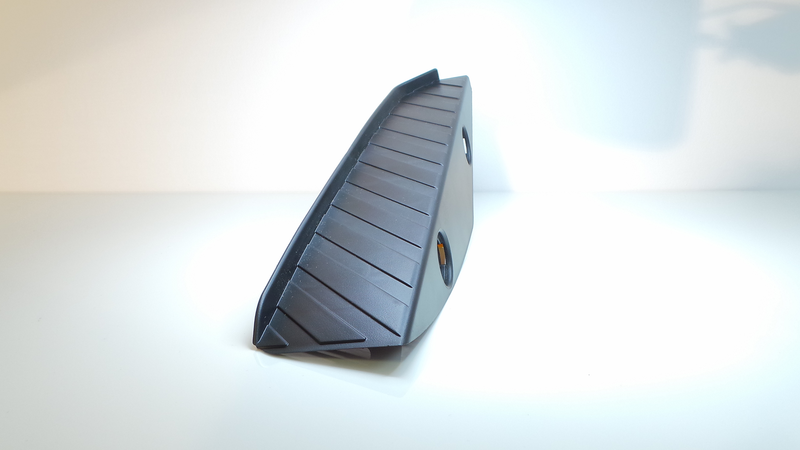 GHS Plastic GmbH produces various gap covers for VW Multivan and T5 commercial vehicles. Manufacturing for various manufacturers’ panels, buttons, and light guides.